c1814. Exhibit at London Science Museum. 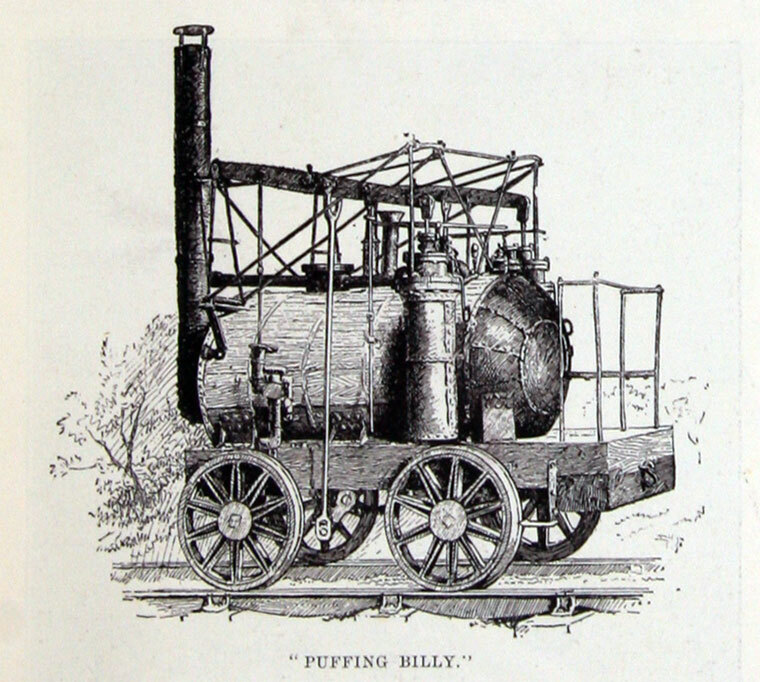 Puffing Billy was an early steam locomotive, constructed in 1812-1814. It was built by engineer William Hedley, engine wright Jonathan Forster and blacksmith Timothy Hackworth for Christopher Blackett, the owner of Wylam Colliery near Newcastle upon Tyne. It is the world's oldest surviving steam locomotive. It was the first commercial steam locomotive, employed to haul coal chaldron wagons from the mine at Wylam to the docks at Lemington-on-Tyne in Northumberland. 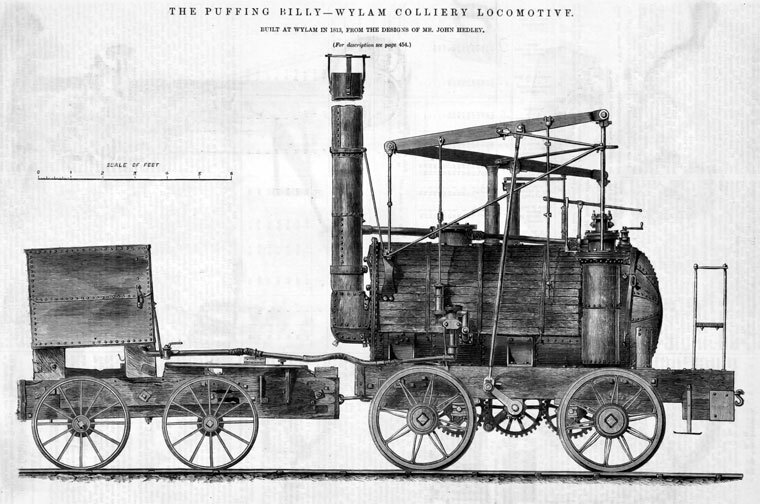 It was one of a number of similar engines built by William Hedley, the resident engineer at Wylam Colliery. The engines remained in service for many years and were not retired until as late as 1862. 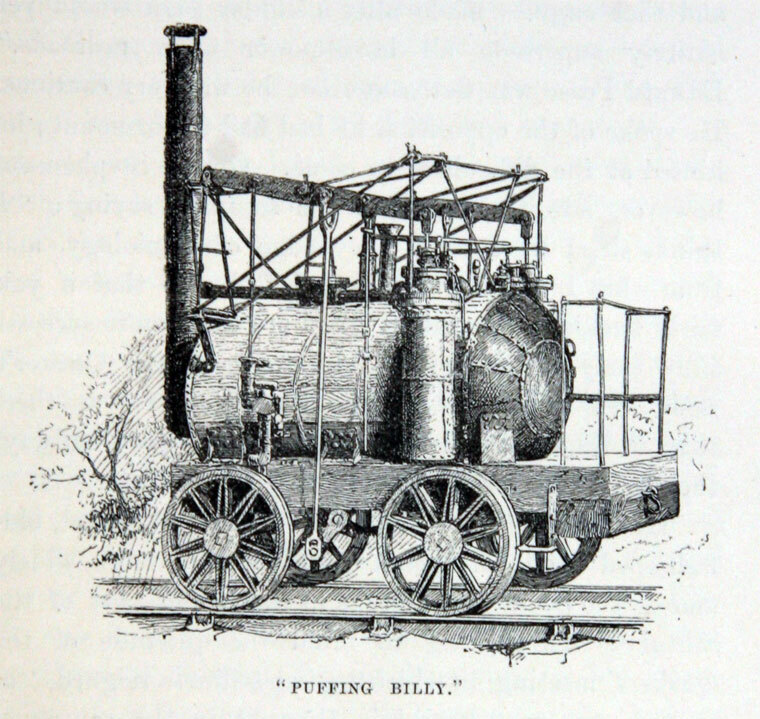 Puffing Billy incorporated a number of novel features, patented by Hedley, which were to prove important to the development of locomotives. Piston rods extended upwards to pivoting beams, connected in turn by rods to a crankshaft beneath the frames, from which gears drove and also coupled the wheels allowing better traction. This was the first time that coupling had been employed on a locomotive. The engine had a number of serious technical limitations. Relying on smooth wheels running on a smooth track, its eight-ton weight was too heavy for the rails and crushed them. This problem was alleviated by redesigning the engine with eight wheels so that the weight was spread more evenly. The engine was eventually rebuilt as a four-wheeler when improved track was introduced around 1830. It was not particularly fast, being capable of no more than 3 to 5 mph (5 to 8 km/h). 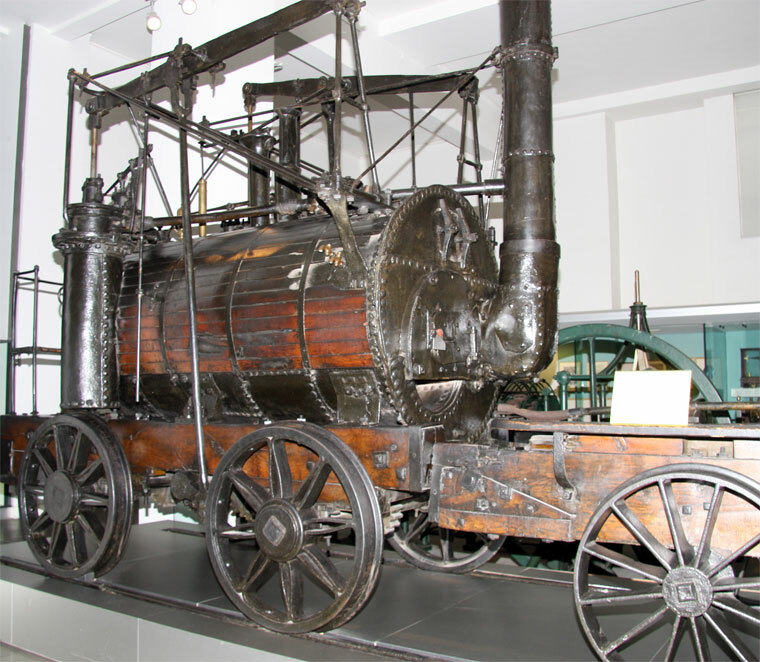 In 1862, Edward Blackett, the owner of Wylam Colliery, lent Puffing Billy to the Patent Office Museum in South Kensington, London (later the London Science Museum). He later sold it to the museum for £200. It is still on display there. 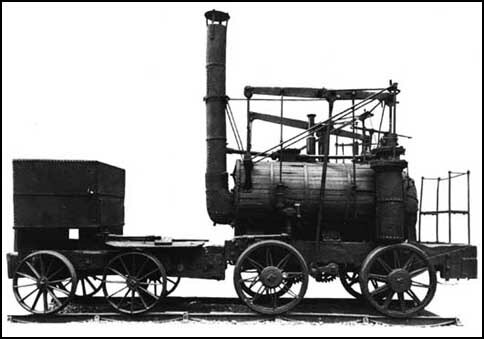 Puffing Billy was an important influence on George Stephenson, who lived locally, and its success was a key factor in promoting the use of steam locomotives by other collieries in north-eastern England. It also entered the language as a metaphor for an energetic traveller, so that phrases like "puffing like Billy-o" and "running like Billy-o" became common. A replica has been built and was first run in 2006 at Beamish Museum. Its sister locomotive, Wylam Dilly, is preserved in the National Museum of Scotland in Edinburgh. This page was last edited on 21 March 2013, at 20:57.